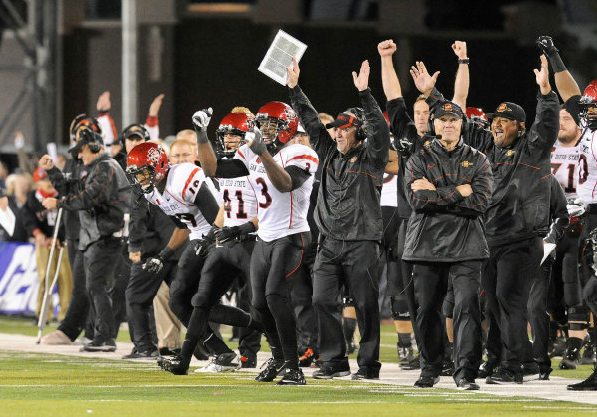 Over the years, overtime games have been a rarity for San Diego State football. According to GoAztecs.com, SDSU had only played in four overtime games before entering Saturday night’s contest vs. Nevada. That statistic changed Saturday, however, as the Aztecs defeated Nevada in overtime, 39-38. With the thrilling overtime victory, the Aztecs improved to 4-1 all-time in overtime games. Following the game, one question likely popped up in the heads of many SDSU fans: When was the last overtime game for SDSU? 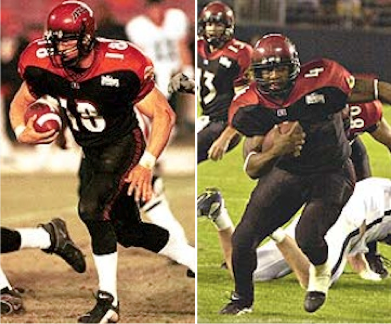 On October 24, 1998 at Qualcomm Stadium, SDSU defeated Utah 21-20 in overtime. Behind quarterback Brian Russell and running back Larry Ned, the Aztecs won their fourth straight game to improve to 4-3 on the season. Utah scored first in the extra period, but missed the extra point, opening the door for SDSU. The Aztecs then scored on a 6-yard touchdown pass from Russell to Damon Gourdine, and converted the extra point to win the game. SDSU went on to play in the Las Vegas Bowl that season, but fell to North Carolina, 20-13. Did you miss last week’s “Stat of the Week” post about interceptions? Check it out here!